Helen Zille is the Premier of the Western Cape. She was elected to office by the Provincial Parliament on 6 May 2009 and reelected after the May 2014 general elections. She was educated at Johannesburg’s St Mary’s School, Waverley and the University of the Witwatersrand, where she obtained a Bachelor of Arts degree. Before Helen Zille began her career in politics she worked as a political correspondent for the Rand Daily Mail, where she covered key political stories, such as the death, in police custody, of black consciousness activist Steve Biko. In 1977 she was able to prove that Biko had been tortured to death and that the official version of the story, which claimed he had died of natural causes, was false. From the 1980s onward she became involved in NGOs and activist organizations, including the Open Society Foundation, the Independent Media Diversity Trust, and the Black Sash. She also campaigned against vigilantism and repression in the Cape Town townships and was part of the peace movement that worked to bring warring factions in Crossroads together. She joined the former Democratic Party in the mid-1990s, where she was asked to reformulate the party’s education policy and stand as a candidate on its election list for the Western Cape legislature. She also acted as Technical Adviser to the party at CODESA in the early 1990s. Helen was elected to the provincial parliament in the 1999 general election under the banner of the Democratic Alliance. From 1999 to 2001 she served as Minister of Education in the Western Cape Province. When the ANC gained power in 2001 she became Leader of the Opposition in the Western Cape legislature, where she remained until she was elected as a member of the National Parliament in 2004. As a Democratic Alliance MP, she served on the Portfolio Committee on Education and acted as the DA’s National Spokesperson. Her constituency included Langa, Gugulethu, and Khayelitsha. 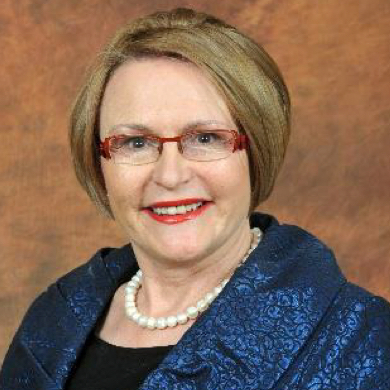 On 15 March 2006 she was elected as Mayor of Cape Town, and resigned from parliament. Two years later, in 2008, she was voted World Mayor in a poll of over 800 cities around the world conducted by global think tank World Mayors. On 6 May 2007 she was elected as the Leader of the Democratic Alliance, and was re-elected in 2012. Her term as DA leader ended in May 2015. In 2016, Helen released her autobiography Not Without A Fight. The City Press described it as the ‘Nonfiction book of the year’.